IGCS welcomes fifty-one gynecologic oncology specialists, surgeons, researchers, medical oncologists, and radiation oncologists from the Eastern European country of Belarus as Strategic Alliance Partner Members of the IGCS. Belarus is a country of 9.5 million people in eastern Europe, on the western border of Russia and the norther border of Ukraine. The Belarus Gynecologic Oncology Division of the Belarusian Society of Oncologists includes sixty gynecological oncologists working at N.N. Alexandrov Cancer Center at six Regional and six Inter-district Cancer Dispensaries. 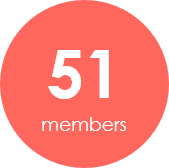 Fifty-one of these specialists have opted to join the IGCS through the Strategic Alliance Partnership. In Belarus, the overwhelming majority of cancer patients undergo examination and treatment at the N.N. Alexandrov Cancer Center and Cancer Dispensaries, which facilitates information collection. About 4,000 new cases of gynecologic cancer are diagnosed annually in Belarus. In 2015, 2,028 endometrial cancer cases, 964 ovarian cancer cases and 884 cervical cancer cases were newly diagnosed. In 2015, the incidence and mortality in endometrial cancer were 22.9 and 3.6 on 100,000 female population respectively (World standard), in ovarian cancer – 12.1 and 4.6, in cervical cancer – 11.9 and 4.2. The proceedings from the 1st International Conference “Current Concepts and Controversies in Gynecologic and Urologic Oncology” further discusses developments and local conditions in the treatment of gynecologic cancers. 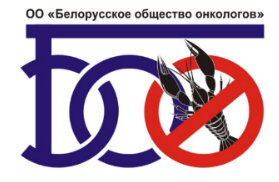 The Belarusian Society of Oncologists (BSO), founded in 2006 is a public organization integrating of a voluntary basis, professionals engaged in research, teaching and practical activities in the field of oncology and related disciplines. BSO holds scientific congresses, seminars and meetings dedicated to various fields of oncology. Under the auspices of the society, catalogues, directories, books and manuals are published. The BSO is the founder of the peer-reviewed scientific and practical Journal. The Oncology Journal is included in the list of publications recommended by the Higher Certification Commission for publishing dissertation materials. The BSO actively cooperates with the International Union against Cancer (UICC), the International Association of Cancer Registries (IACR), the International Association for Studies of Lung Cancer (IASLC), the World Association for Laser Therapy (WALT), the European Association for Cancer Research (EACR), the European Society of Therapeutic Radiology and Oncology (ESTRO), the European Society of Medical Oncology (ESMO), the European School of Oncology (ESO), the European Association for Urology (EAU), the European Society of Gynecologic Oncology (ESGO), the European Medical Laser Association (EMLA) and many others. The Society takes part in international collaboration, scientific exchange and joint research projects.